Contact Islamorada Accident Lawyers Gerson & Schwartz, P.A. If your relative was killed in an accident in Islamorada, you may be wondering what you can do about it. You may believe the accident was another person’s fault. Maybe another driver caused a crash, or possibly a businessowner failed to maintain their property. Whatever the cause of your loved one’s death, if another person was responsible, you and your family may have the right to pursue compensation. When another party’s negligence, recklessness, or intentional misconduct caused a person’s death, your family may be able to obtain a financial recovery through a wrongful death lawsuit. To learn more about Florida’s wrongful death law, contact our Islamorada wrongful death lawyers at Gerson & Schwartz P.A. at (877) 475-2905. You can also contact our bilingual attorneys online to schedule a free consultation. 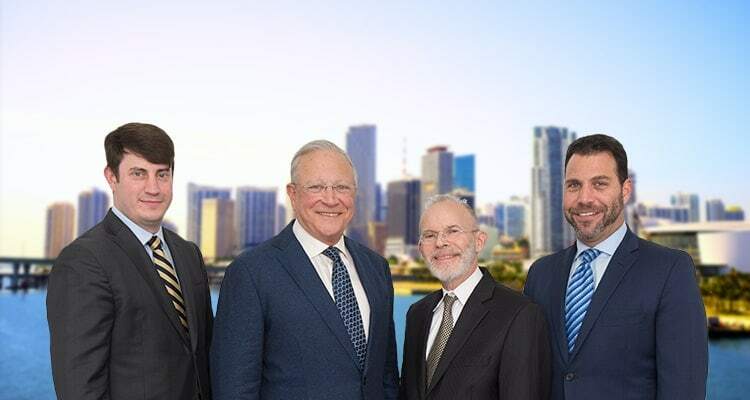 At Gerson & Schwartz P.A., our personal injury and wrongful death attorneys represent individuals and families throughout the Florida Keys, including Islamorada. This village is spread out across five islands: Tea Table Key, Lower Matecumbe Key, Upper Matecumbe Key, Windley Key, and Plantation Key. Within the villages 6.5 square miles of land is a population of about 6,400 people. To move between these islands and other parts of they Keys, residents and visitors rely on the Overseas Highway and the Seven Mile Bridge. While Islamorada may appear to be an idyllic place to live and visit, it is not immune from tragedy. The area is like any other place in the U.S. in that it experiences transportation accidents, including car accidents, truck crashes, and boating accidents. The islands may see injuries and fatalities on poorly maintained properties or construction accidents. Also, deaths have occurred during hobby and recreational activities, such as snorkeling and scuba diving. If you live in Islamorada or were there on vacation, and your parent, spouse, or child was killed, do not hesitate to contact our wrongful death lawyers for Islamorada to discuss your options. One of the most prominent reasons to contact a wrongful death attorney following a loved one’s suspicious death is to determine whether you have a valid legal claim under Florida’s Wrongful Death Act, FL. Statutes Sections 768.16 – 768.26. Under this law, a wrongful death lawsuit can be filed if a person is killed due to another individual’s wrongful act, negligence, breach, or default of warranty or contract. If the decedent had suffered injuries and lived, they would have had the right to file a personal injury lawsuit and pursue compensation for their economic and non-economic injuries. If a wrongful death claim is possible, the next step is to determine who should file the claim. Florida’s law specifically directs the personal representative of the decedent’s estate to file the claim on behalf of the decedent’s survivors. The law defines the survivors as the decedent’s spouse, children, and parents. Also, siblings, when they were partly or entirely dependent on the decedent for services and support. If you are a survivor as defined by Florida law, then you may receive a part of the compensation obtained by the personal representative. The damages the personal representative will pursue will be the financial and emotional injuries you and your relatives have suffered. To learn more about Florida’s wrongful death law and how it applies to a fatal accident in Islamorada, contact our Islamorada wrongful death attorneys right away. The sooner you call Gerson & Schwartz P.A., the sooner we can protect and gather evidence related to the case and begin to pursue compensation for you and your family. We are here to help you and your family after all types of situations. Never hesitate to call us if you suspect your loved one’s death was due to another person’s carelessness, recklessness, or malicious behavior. If you loved a loved one in any of these types of accidents, call our wrongful death attorneys for Islamorada right away. We are here to carefully review your circumstances and advise you on whether you have a valid wrongful death claim under Florida law. If you do, we can guide you through the insurance claim and legal processes in pursuit of fair compensation. When you believe another person, business, or municipality is responsible for your relative’s death, it is important that you speak with a highly experienced wrongful death law firm. Our team at Gerson & Schwartz P.A. is here to listen to your story and advise you about what to do next. If you have a valid legal claim, we are here to help you through the legal and insurance claim processes. Contact us online or call (305) 371-6000 to schedule your free consultation.